Fans of fast cars going around and around in massive circles rejoice. The motorcar racing videogame F1 2014 has been announced as heading to PC on October 17th, matching the console versions blow for blow with its updated roster of incrementally ruder shaped cars, damper roads, properly uniformed drivers and more televisual camera angles. Here’s a video of some nice cars having a race to see who’s the fastest. Somewhat disappointingly, F1 2014 has been developed for the old generation of consoles, leaving it tethered to their dusty, ancient tech specs. Not that it looks any the worse for it. 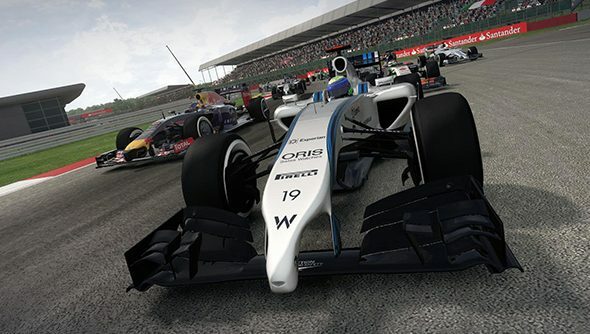 Instead the next-generation Formula One title from Codemansters, presumably to be titled F1 2015, will release next year for PC, Xbox One and PlayStation 4. This time it will be launching earlier in the race schedule and receiving live updates as the season proceeds. Back in F1 2014 town, expect to see a game that properly reflects the recently overhauled rules and regulations of the sport. Cars are now all just as ugly and snub-nosed as their real-life counterparts, with less downforce and a magic boost button built into the engines. Drivers have had their musical chairs rearranged, now appearing in their proper teams and with their new teammates. Codemasters also mention a new driver evaluation system that will suggest the appropriate difficulty setting and assistances on the fly, based on how good or bad a driver you are. 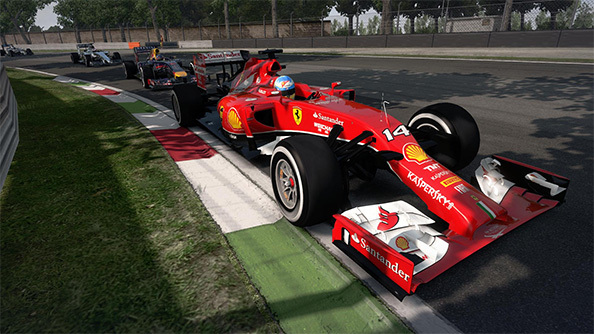 Good news for cack-handed tarmac-botherers, but for racing fans anticipating the leap to next-gen, F1 2014 could be seen as Codemasters spinning its wheels. But hey, them’s thebrakes. Woo.